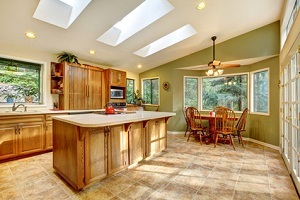 One of the other essential services we offer here at Brian O'Donnell Quality Home Improvements is our work with skylights in Farmington Valley. We provide the finest in repairs and replacement for this wonderful addition to your home. Skylights have gotten a bad rap over the years because they have come to be known as potential leak hazards. The truth of the matter is, the products and techniques have come quite a long way in the past years. It all boils down to finding an established and reputable contractor to take care of your service needs. The right industry expert should be able to provide you with superior service, just like Brian has been doing since 1978! As one of the only Velux 5-Star Certified Skylight Specialists in the Simsbury area, each year we carry out hundreds of skylight installations, repairs, re-glazes, re-flashing, replacement and removals. The entire team prides itself on quality craftsmanship, which is achieved by ongoing continuing education. This is what helps us stay abreast of the changing technology in the skylight industry. What amazes most homeowners is the fact that most installations can be completed in a day and a half. Brian is a VELUX ® Solutions Certified Skylight experts, including Sun Tunnel ™ installations. Don't give up on having a skylight but don't settle for less than the best when it comes to the quality of work that you get. Here is an example of what we have worked with here at Brian O'Donnell Quality Home Improvements. While skylights are rarely compromised to such an extent as this one, it can still happen as a result of falling trees or in this case, a large ice dam that fell from a higher roof line. The important thing is to know that you have the trusted name to count on to get the work done. The idea is to plan for skylights or sun tunnels in order to help prevent much of this from happening. The problem is that many contractors simply listen to what the customer wants and provide it, regardless of the long term consequences. This is either a lack of professional knowledge or the desire to make money over doing the right thing. We always want to give the customer what they want. However, this should not include leaving out important information about what will happen with the location or type of sky light, over time. We partner with you to deliver what you want but in a manner that will not cause problems at a later date. The problem with all of this is that it can cost you thousands of dollars, literally. From huge utility bills as a result of skylights, leaks that cause roof damage and moisture and mold problems. The trick is to make sure that you get a professional roofing contractor to work with so that you can avoid all of the problems from the start. Brian uses Velux Skylights for both new cut-in skylights and skylight replacements. Velux offers a 'No Leak Skylight' guarantee for new skylights, as well as countless options for Solar powered, curb mounted or deck mounted skylights. Customers can opt for additional decorative shades or blinds to add their own personal style. If nothing else, you can feel good knowing that you have now found the best name to rely on to address your need for repairs or replacement. 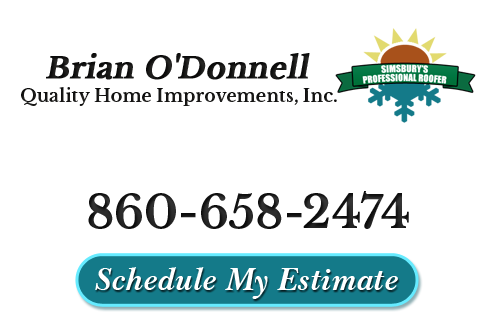 Let Brian O'Donnell Quality Home Improvements provide you with the service you need for your skylights, sun tunnels, and roofing. If you are interested in an estimate for skylight installation or repairs, please call our roofing contractors at 860-658-2474 or complete our online request form.